Etabo dreams of being a camel racer. One day he might even beat his older brother when they race. But with the price of water rising, Etabo's father must sell the camels, and his siblings must find work. What will Etabo do now? 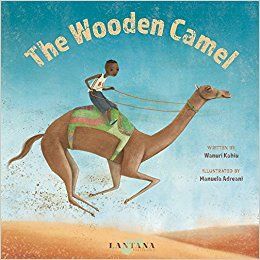 From acclaimed Kenyan filmmaker Wanuri Kahiu and Italian illustrator Manuela Adreani, this story of love and hope centers on the inspiring Turkana people of northwest Kenya.